France has urged its nationals in Ivory Coast to leave, as a crisis over disputed elections continues. Government spokesman Francois Baroin said the measure was "precautionary". There are approximately 15,000 French citizens in the West African country. 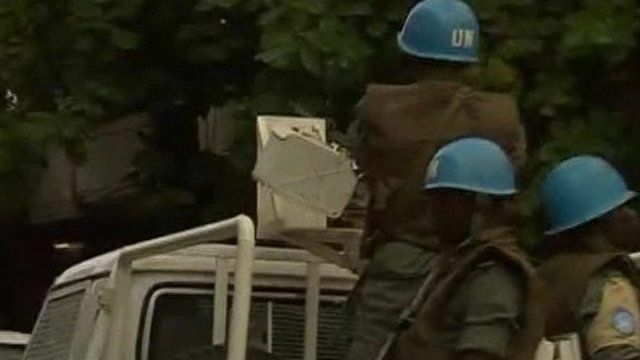 UN Secretary-General Ban Ki-moon has warned it could slip into civil war and that incumbent Laurent Gbagbo was trying to expel peacekeepers. The international community recognises his rival Alassane Ouattara as victor. John James reports from Abidjan.